Boil the potatoes until they are just fork tender! 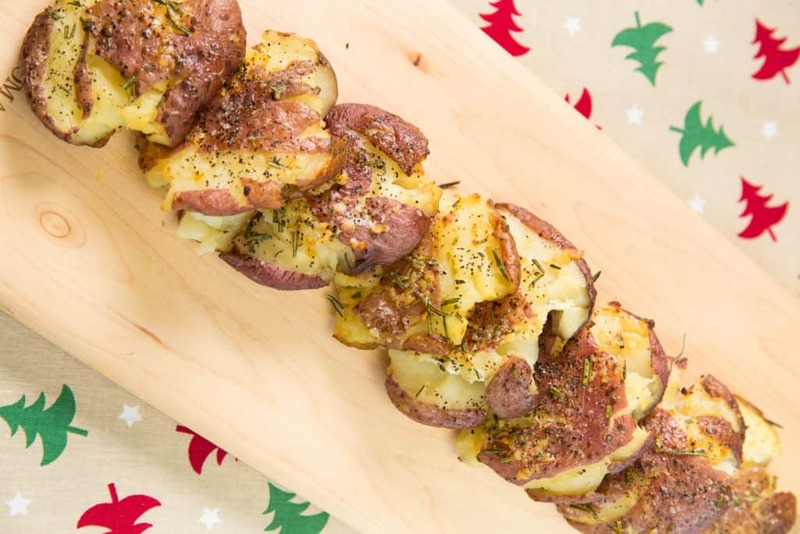 Drain potatoes and place on a dish towel to cool for about 10 minutes. Using a clean dishcloth press down on each potato and smash it until they are about ½ inch thick. Place the potatoes and garlic on a well oiled baking sheet. Drizzle the potatoes with olive oil. Add fresh rosemary on top.